JUNG undertook its first attempts at tracking down the sweet secret of cooking candy back in 1828. What started with the small-scale production of confectionery developed into a company with a broad and innovative product range. Former CEO Walter Kühlbrey took the first steps towards creating the classical advertising sweet. His idea of offering sweets in individually printed wrappers set the right course for the tradition-rich company. JUNG also owes it to him that the company was able to open Germany’s first sweet museum in Kleinglattbach in 2000. The promotional sweets were just the start. The still growing selection also includes jelly bears, popular with young and old and now a firm staple of the advertising world. A mixture of innovative products and classics as well as a wide selection of Christmas and Easter products completes the diverse product line, thus catering to all customer wishes. 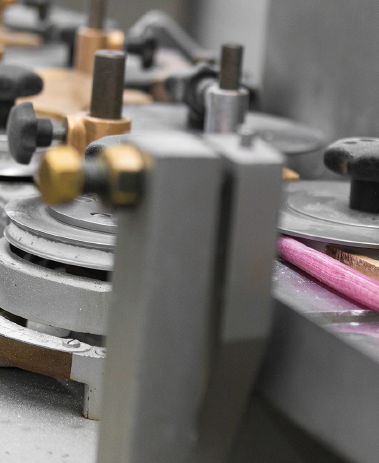 In our own digital printing center, we are now able to offer both small and large print runs in the highest four-color print quality with short delivery times. Today, digital printing makes it possible to extensively personalize almost any promotional item (paper, boxes, foil, and much more). 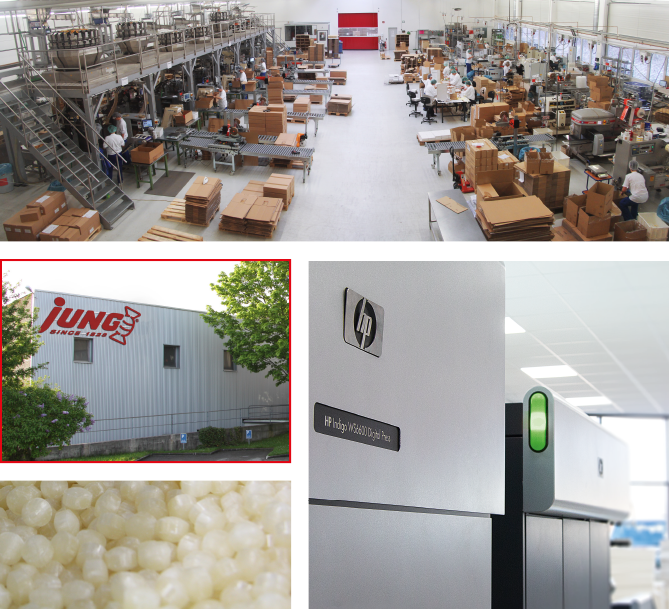 Thanks to our own printing center and the modern packaging machines in our Arnstadt facility, as well as our own sweets production site in Vaihingen/Enz, we provide quality, flexibility, and quick delivery to our customers. Along with the delicious sweets we produce, our innovative promotional advent calendars are especially popular and loved. Numerous well-known companies from widely-varying industries turn to the customized advents calendar from the JUNG company to sweeten the pre-Christmas season for their customers. This makes us most proud! In addition to the innovative packaging solutions, an ever-growing number of well-known brands such as Ritter Sport, Mentos, Toblerone, Lindt, Bahlsen, Brandt, and Leibniz are available for our customers’ promotions. These days, the emphasis is on the brand. Not least of all because the purchaser seeks to fill his packaging with brand-name articles that make a trustworthy and safe first impression on his customers.